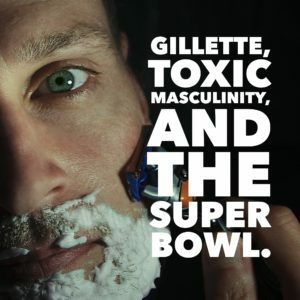 If you’ve consumed any popular culture at all, you’ve probably seen some of the brouhaha Gillette’s new ad calling out Toxic Masculinity. The commercial appealed to men to ‘be better,’ over scenes of boys wrestling at a BBQ, men lewdly whistling and jeering at women, bullies pursuing a boy down the street, and males generally behaving like savages. Of course, many men took the commercial as a personal affront. My friend Damian Mason accused Gillette of blaming all men for “bad things that 90% of (their) customers have never been guilty of” and predicts “serious razor burn” for the company. Chances are those who are complaining about Gillette’s campaign were forced to look deep inside themselves and didn’t much like what they saw. To quote my friend Brian Walter, few things are as universally male and personal as looking at your face in mirror in the morning and using a razor. So the company that owns most of those moments is putting out a challenge: Be a better face for male masculinity. What’s more, a father teaching a son to shave is a male rite of passage. Gillette is part of that masculine ritual. Now they are saying…teach your boys something more. Clearly football and the NFL field their teams with male icons and role models. But sadly many of the men who play the game are exactly the men Gillette’s ad is talking about. As my friend John DeMarchi points out, both the Patriots and the Chiefs have long and sordid histories of employing players with domestic convictions (such as Tyreek Hill of the Chiefs), substance-abuse issues (the Patriots’ Josh Gordon), performance-enhancing drug suspensions (Julian Edelman, Patriots) and yes, even actual murder convictions (the late Aaron Hernandez, Pats). Not to be upstaged by their players, the Patriots franchise itself has even faced league sanctions – twice – for cheating (Spygate and Deflategate). Even the “boys will be boys” alibi that so many enablers have used to explain such behavior cannot possibly excuse such horrid misbehavior by the men of these two franchises. And yet, what stadium do the Patriots play in? Oh yeah – that’s right! 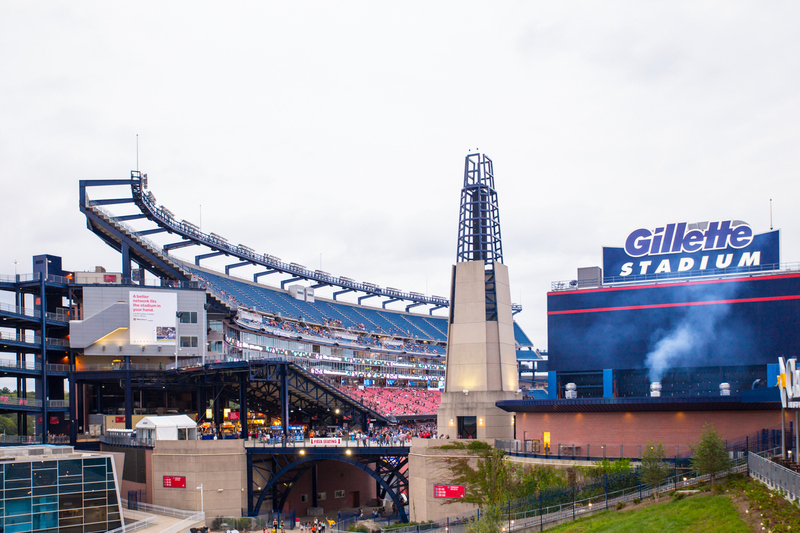 Gillette Stadium in Foxborough, Massachusetts. Whether Gillette is guilty of hypocrisy, laziness, or has just gotten too damn big for their right hand to know what their left hand is doing is irrelevant. For the company to stand up as the outspoken paragon of male comportment while at the same time sponsoring and funding the big house where so many reprobates are gainfully and cheerfully employed suggests that none of us should take any of Gillette’s statements too seriously. Their incongruent actions prove that Gillette doesn’t care one way or the other about how males behave or about damning or supporting male behavior. Gillette simply cares about generating attention and selling razor blades.